'The Motor Age' is a satirical attempt to imagine what the future of mobility will look like if autonomous vehicles are introduced into everyday life as carelessly as conventional vehicles were. While traditional markers of prosperity might seem strong, they serve only to obscure a profound sickness in our way of life. 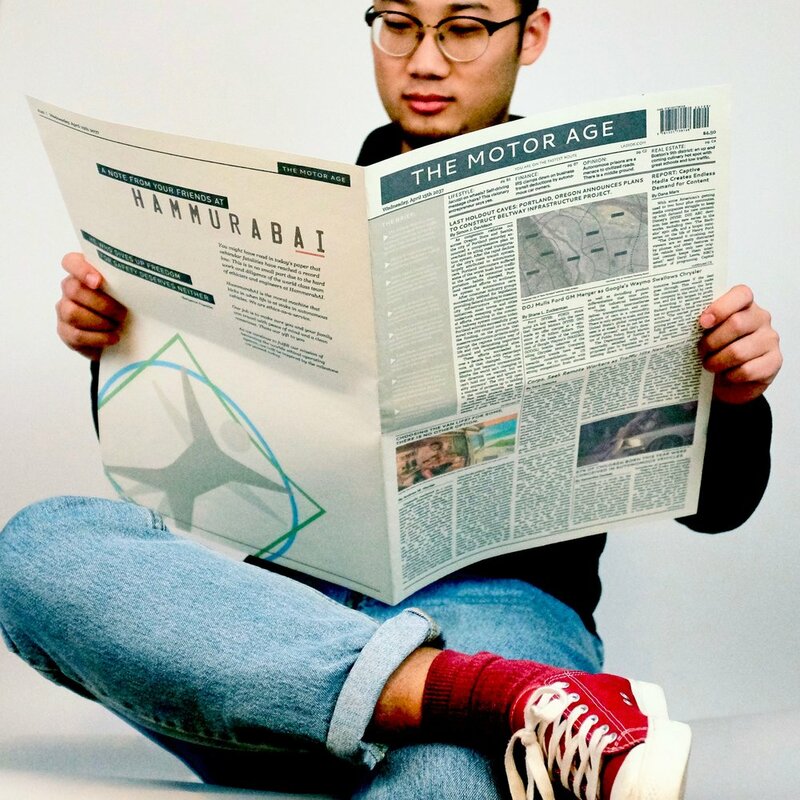 'The Motor Age' is a fictitious newspaper from the future. It is an attempt to imagine what mobility will look like if autonomous vehicles are introduced into everyday life as carelessly as conventional vehicles were. While traditional markers of prosperity might seem strong, they serve only to obscure a profound sickness in our way of life. 'The Motor Age' was created as part of my in-process masters thesis, You Are On the Fastest Route: Intentional Community and Responsible Autonomy in the New Motor Age. 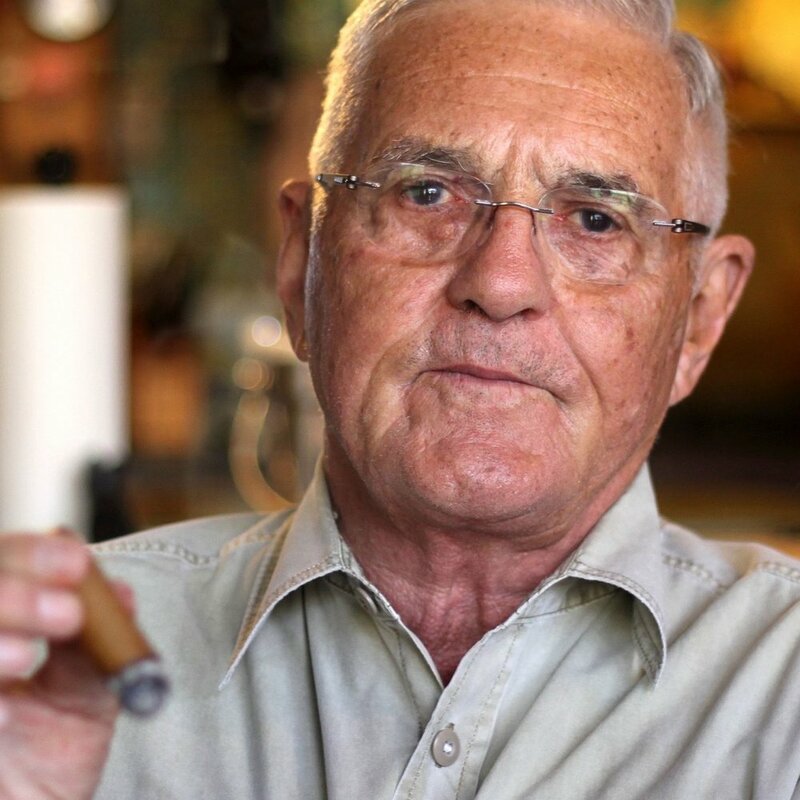 The Motor Age was informed by an interview I conducted with the renown and notorious GM Executive Robert Lutz. Mr. Lutz recently published a series of columns in which he predicts the end of the Detroit motor business as we know it. He envisions a world where the manufacture of cars is commodified and the show business mystique of the industry (which he has been so much a part of) snuffed out by coastal tech entrepreneurs. Below are several selected quotes and insights from our conversation. People will be upset. I get angry e-mails from my writing; ‘I’ll never give up driving’. Its like the way people cling to their guns. But they won’t have a choice, and the benefits will be enormous, too great to pass up. This is inevitable." People want to express their politics, their prestige through their choice of car. A rugged mountain type drives a Jeep, an intellectual drives a Subaru or Volvo, someone who want to signal their wealth, their second home, drives a Range Rover." I tell them, ‘is it fun waiting in a snarl of freeway traffic? It it fun missing your ight at JFK?.’ The societal bene ts of autonomous cars is enormous. If you sleep 8 hours a day, you’ve got 16 hours left. If you are like most people, and hour, two hours of your day are consumed by driving. What does it mean to give people back an hour of leisure or an hour of work? " On back page of 'The Motor Age', a full page ad has been purchased by HammurabAI, a speculative ethics-as-a-service company I imagined. In the future, autonomous cars will have to occasionally make difficult ethical choices. HammurabAI integrates the passenger's personal values into the vehicle, so as to keep important moral judgments out of the notoriously corrupt auto industry. In this ad, HammurabAI celebrates its role in achieving record low vehicular fatalities. Learn more about HammurabAI here.